Produced in Portugal, in the Tejo Region at Tomar. It’s classified as one DOC do Tejo red wine.The Convento de Tomar Reserva Tejo red wine has an intense garnet color with violet hues. Deep and intense aroma of ripe fruit, with flower notes and a little touch of spices. Concentrated in the mouth, full-bodied, with fine tannins present but elegant. The fruit proves to be quite intense, with spicy hints; Long, harmonious and elegant finish. Vinification: Selective manual harvesting in 20 kg boxes. Total destemming followed by natural and spontaneous alcoholic fermentation in stainless steel tanks at a controlled temperature at 26ºC. After the malolactic fermentation is followed a slight stage in French and American oak barrel, maintaining the original character of the grape varieties, which will promote a better evolution and balance of the wine. The label of this premium Tejo red wine it’s inspired in the famous window of the Christ Convent. Originally a 12th-century Templar stronghold, when the order was dissolved in the 14th century the Portuguese branch was turned into the Knights of the Order of Christ, that later supported Portugal’s maritime discoveries of the 15th century. The Convent and Castle complex is a historic and cultural monument which was listed in the list of UNESCO World Heritage list in 1983. Gold medal at Premium Select International Wine Challenge – ProWein 2017 for the red wine Convento de Tomar tinto Reserva 2013. Gold = Top Level, outstanding, world-class. Very good wine to pairing with red meat or game dishes. 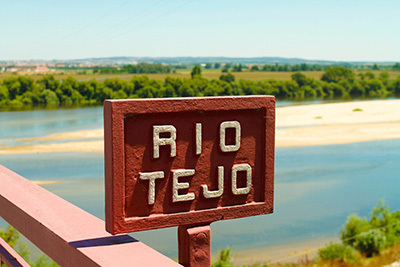 As Portugal’s most well-known grape variety, it has made a nice home for itself in the Tejo region. 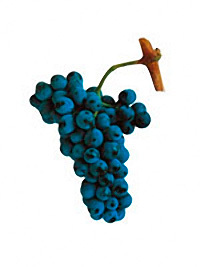 Producing wines with high tannins, full body and flavors like dark berries, plums and purple flowers, the grape thrives in southern Portugal’s warm climate. 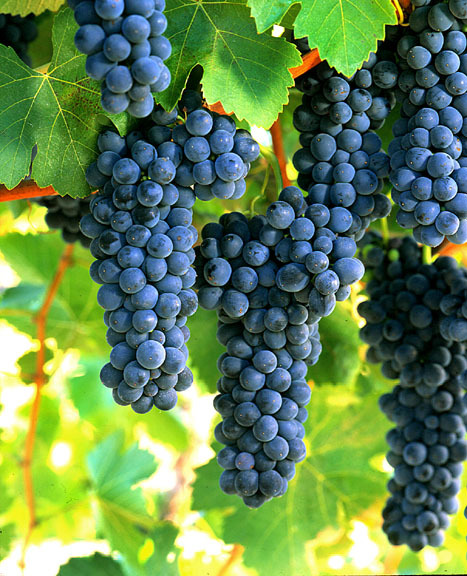 Cabernet Sauvignon is probably the most famous red wine grape variety on Earth. It is rivaled in this regard only by its Bordeaux stablemate Merlot, and its opposite number in Burgundy, Pinot Noir. 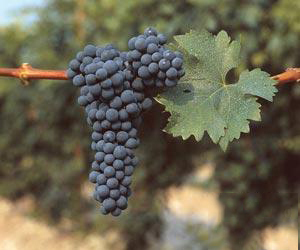 From its origins in Bordeaux, Cabernet has successfully spread to almost every winegrowing country in the world. It has found a special niche and style in the Tejo Region, one of the few Portuguese winegrowing regions where it can ripen to perfection. It is rarely bottled as a varietal wine in the Tejo, but is present in small amounts to give structure in many wines. Of all the non-Portuguese varieties to be grown here, Syrah has best adapted to the Tejo climate, adjusting easily to the searing summer heat with its interminable hours of sunshine and extreme temperatures. 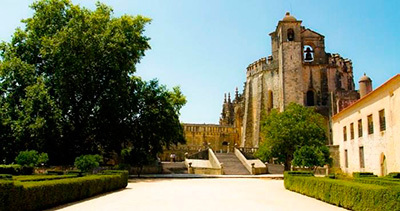 Enjoy the red wine Convento de Tomar Reserva with red meat dishes, game dishes and cheese. We export this and many other wines worldwide, for more information’s please contact us. If you wish you can always visit our showroom online at our website. Cheers and enjoy this red wine.